Acceler8 is our business associate program for educators, organizations, affiliates and resellers. 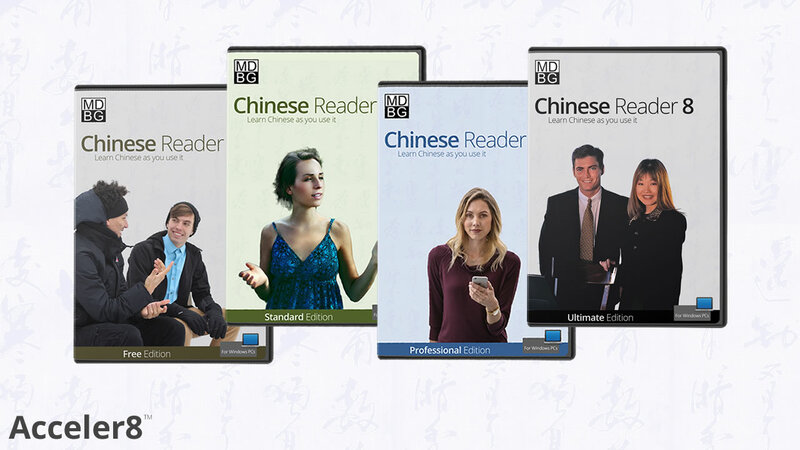 Use MDBG to generate interest for your Chinese language courses. Help prospective students develop invaluable skills for today's global marketplace. Here's a great incentive for your next fundraiser. Help your supporters see tangible benefits of their financial support for your association, club or other organization. Are you (or your website, blog, etc.) the go-to resource for many others? As a thought leader, are you recognized as one of the foremost authorities in your area of specialization? Increase your profitability with innovative MDBG products. Look to MDBG for exclusive products with custom capabilities and branding.